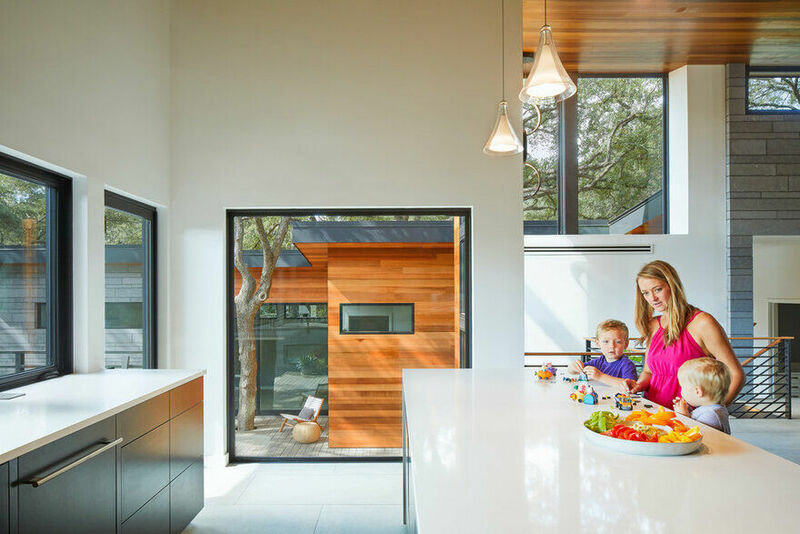 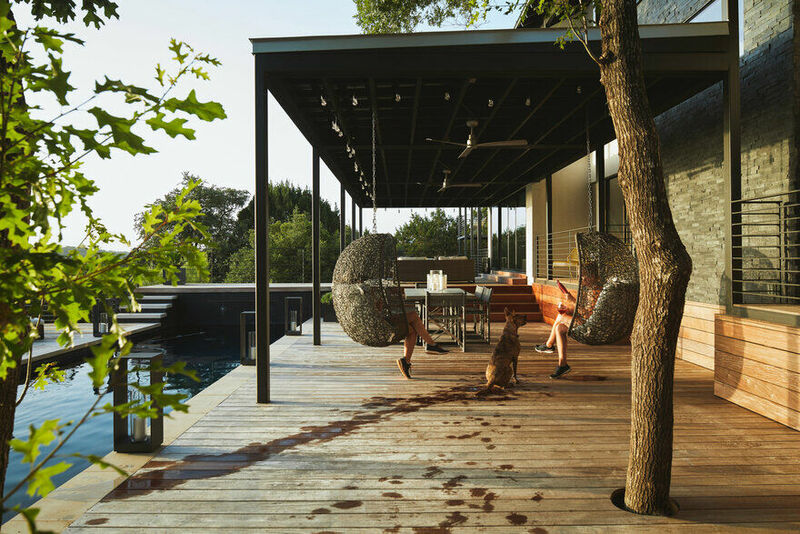 Sited high in the hills, the original Via Media residence was designed with balcony/deck access in every single room, opening up to the nature and tranquility just minutes away from downtown Austin. 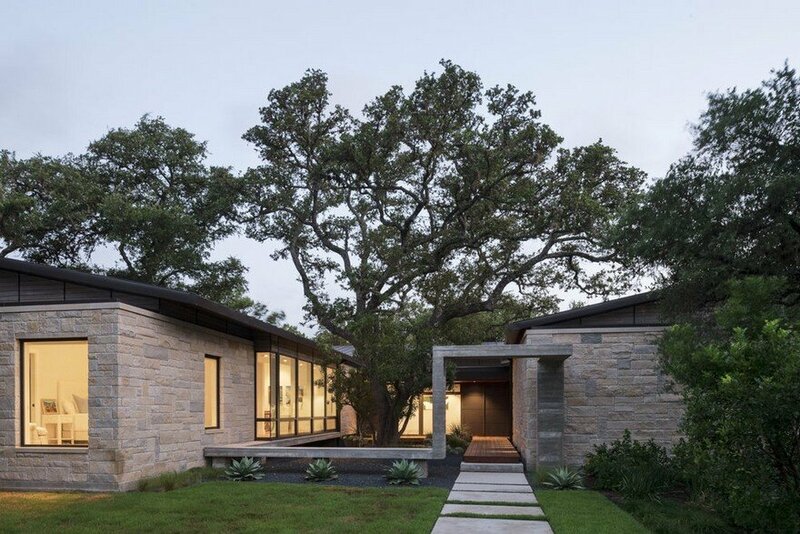 Our clients purchased this site high on a ridge overlooking Lake Austin and the Pennybacker Bridge. 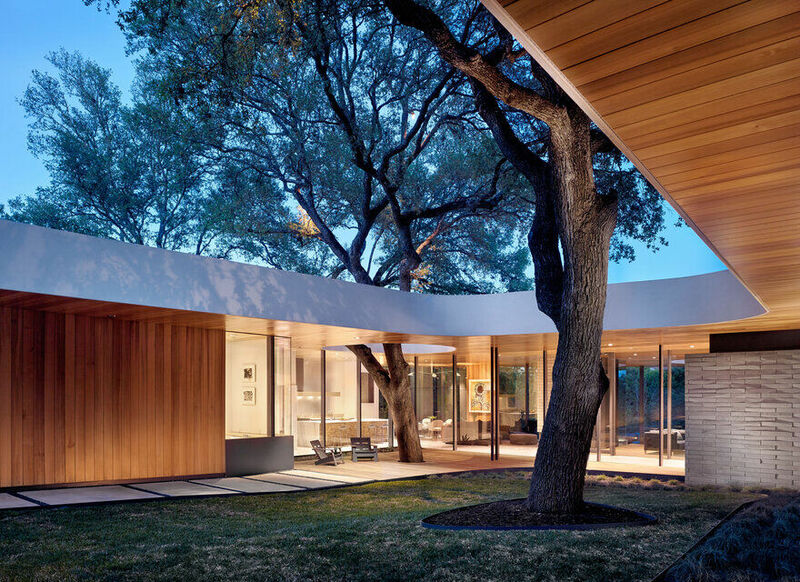 The property came with a house which proved ill-matched to their needs but which nestled neatly amid beautiful live oaks. 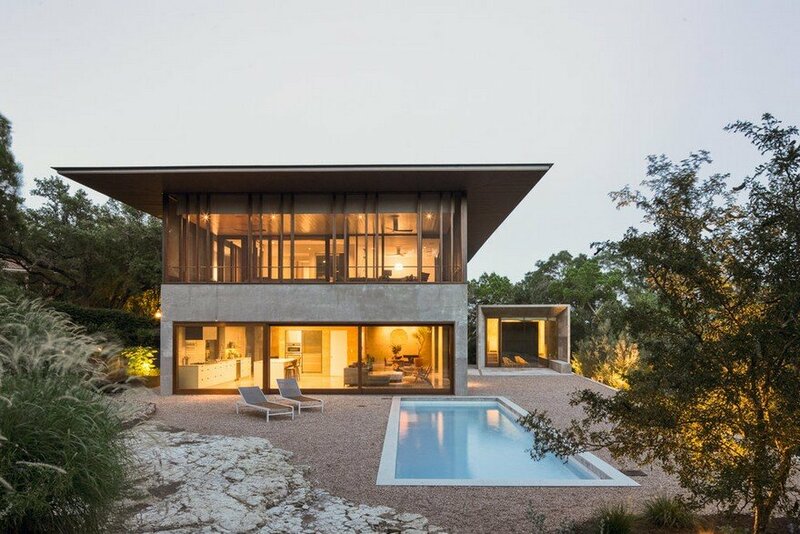 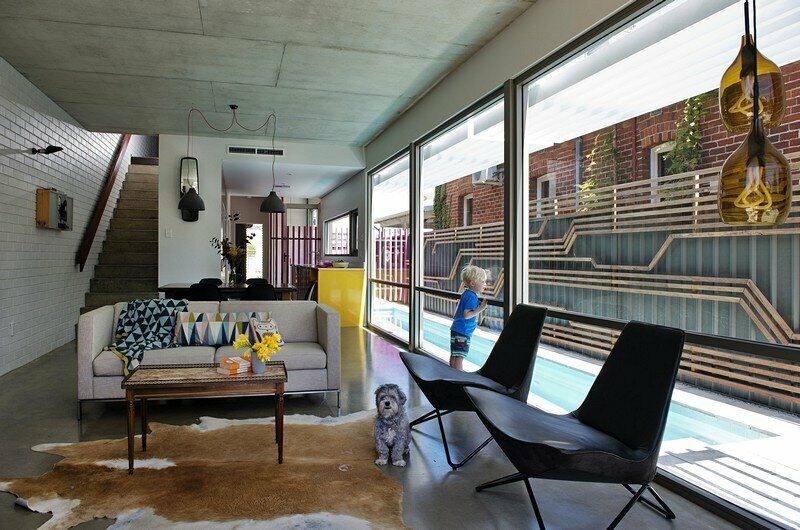 Balcones House appears as a wide-brimmed glass pavilion rising from a solid concrete base. 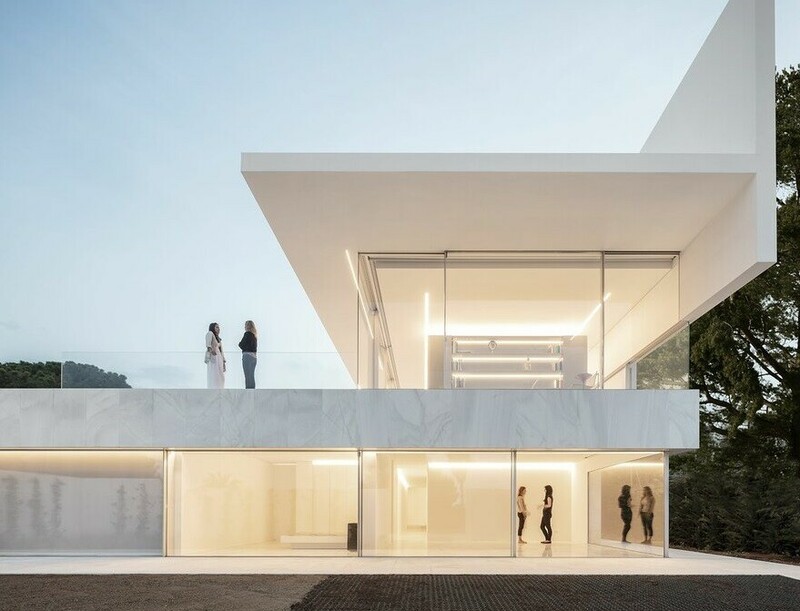 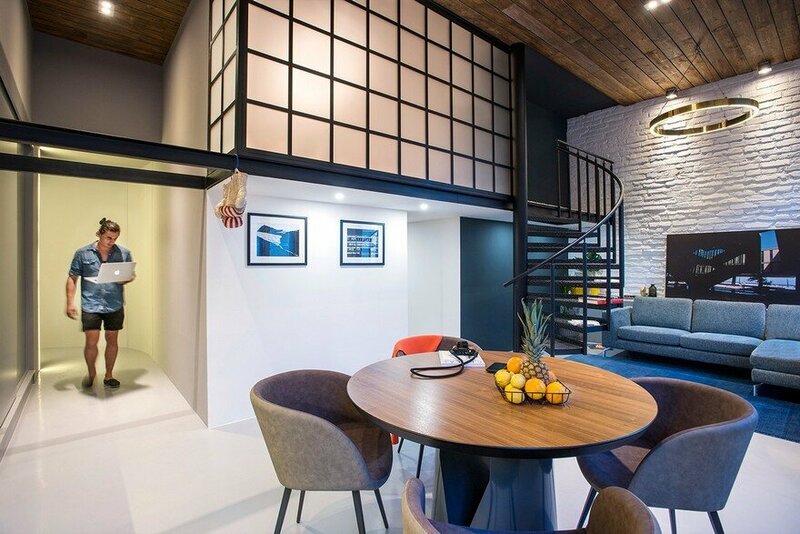 It’s lantern-like public face is complimented by the solid form of the guest house, a separate structure that sits with it’s back turned to the street.